Experience an edge of masculinity with our Brad. 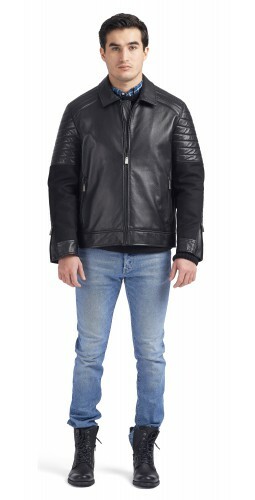 Quilted Lambskin leather jacket with melton wool combo. Leather quilting detail on shoulder cap to mid sleeve.